Children can get the right fit and adults can find the right price in our selection of youth headwear. Here you’ll discover top youth headwear styles from popular brands like New Era, Augusta, and Sport-Tek. Pair the bright, brand name youth caps with our creative custom embroidery services, and watch your team uniforms come to life. 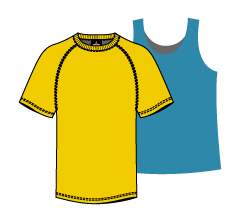 Plus with coordinating styles in adult caps, the coaches or leaders can match. Your team will look all-star!